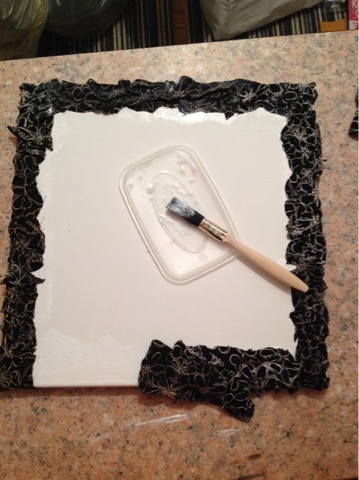 OK so the canvas is coming along great and I am sure that for you it would be like watching paint dry.....literally. The final coat of gesso has gone on this evening and it's looking fantastic however it looks almost the same as the last photo I took. So here is a different view. This is one of the Christmas cards I made on holiday. I adore the simplicity of black and white with a splash of winter sun. 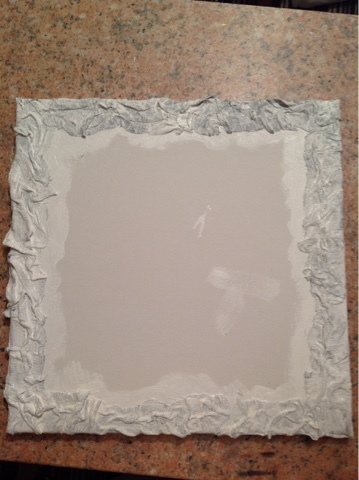 Step two has consisted of getting out the gesso and slapping it around, making sure all the little nooks and crannies are covered. Not sure if I will do another coat yet, let's see what it looks like once it's dry. I am really liking the texture. Think a visit to the local charity shop may be in order to find some trinkets and treasure to adorn the blank canvas I am creating. As much as the Chas and Dave song makes me chuckle that's not what I am getting at. The rabbits I am interested in are the kind that I stamped whilst on holiday. 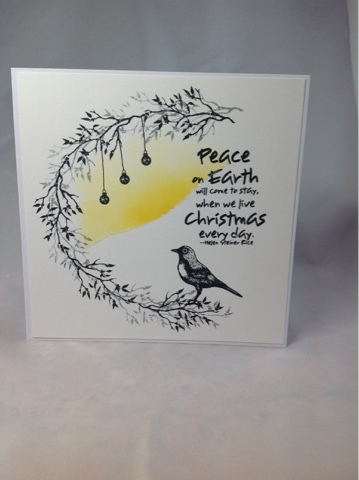 This is just one of the cards that I will be selling at the first Christmas fair I am attending this year. 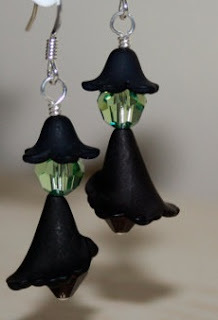 New beautiful Swarovski crystals to make these quirky Halloween earrings. Keep your eyes peeled for more new items being added on the run up to Christmas. 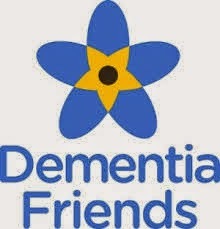 Be sure not to miss out and sign up to receive an email from namfas at the top of this page. I have been a busy bee whilst on holiday and have returned home with a selection of Christmas cards and some earrings. I have created 10 different designs and its so tricky to choose my favourite. 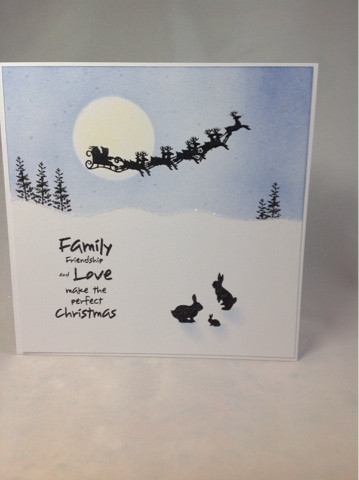 I have used cardio stamps, memento inks (applied with a make up sponge and brushes) and finished with some snow glitter. The plan is to create a newsletter with all my designs on. If you would like to receive this newsletter then please drop me a line. I also have a few dates for the diary when I am selling my cards at local Christmas fairs.